Let the festivities begin! If you’re looking for holiday activities, Kaleideum has plenty to do at the Museum, including day camps and theatre performances! On Friday, November 30, Kaleideum Downtown will host Supper & Santa from 6-8 pm. Included in this exciting evening are dinner, crafts, cookie decorating, story-time, a goody bag, and a visit from Santa! 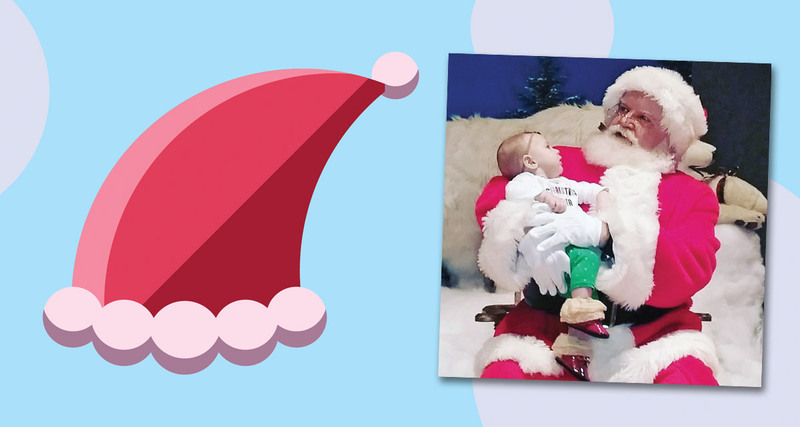 Hearts & Arrows Photography will photograph your little one on Santa’s lap, and the image will be emailed to you. Prints will also be available for purchase on site. Pre-registration required for both children and adults: The cost is $18 per person for Kaleideum members and $20 for non-members. Then, on Friday, December 7, Kaleideum North will host its annual Festive Family Friday from 4:30-8:30 pm. Festive Family Friday will include live music, Animal Zone, holiday crafts, festive Planetarium shows, and special guests … including Santa! Admission is $3 (+tax) per person for both members and non-members. The inclement weather date for this event is December 14. Get messy and create with your child during the Drop-In Gingerbread House Workshops at Kaleideum Downtown. Children (and caregivers) can build their houses with mini milk cartons, graham crackers, icing, and a variety of sweet treats. The cost per house is $6.50 (+ tax). Museum admission not included, but it is required. These workshops will take place on Wednesday, December 12, from 1-4 pm and on Saturday, December 22, from 10 am-1 pm. Banish the post-holiday blues with some science fun! While school is out for winter break, students ages 6-12 can take part in Winter Day Camps at Kaleideum North. Camps will be offered December 27 and 28 from 9 am–4 pm. Sign up for one camp or both. The per day fee is $40 for Kaleideum members and $45 for non-members. Cool Chemistry: Thursday, December 27. Explore “wintery” science with “cool” chemistry. Make snow and ice crystals, and discover the ways animals are able to live in subzero environments. Dive below zero with dry ice through a variety of demonstrations and hands-on activities. Cool Discoveries: Friday, December 28. Discover cryogenics, its secrets, its revelations, and its promises. Bring your mittens! Starting December 27, the family can take part in Música, Música, Marisol, Música at Kaleideum North. Join Marisol, accompanied by gatito Mandito y las hermanas del alma, as she discovers the rhythms of life and spreads the sound! This Theatre for the Very Young production, written by Christina Quintana and directed by Rebecca Cunningham, is for ages birth to 3. Cost is $5 per person for members and $7 per person for non-members. Museum admission is not included. Check website for showtimes and tickets. On Monday, December 31, families will count down to Noon Year’s Eve at Kaleideum Downtown. Visitors can create an egg shaker and a festive 2019 headband in The Prop Shop, sing fun songs, do silly activities, and enjoy story-time. Countdown to the “Noon Year” and dance under the disco ball! Kaleideum North and Kaleideum Downtown both close at 2 pm. Kaleideum Downtown is located at 390 S. Liberty Street in Winston-Salem, and Kaleideum North is located at 400 W. Hanes Mill Road, also in Winston-Salem. Additional details about each of these events, as well as registration for Supper and Santa and Winter Day Camps, can be found at www.kaleideum.org.